Above pictures are of Global Education Center staff and teaching artists training Nashville Davidson County Juvenile Detention Center staff. anti-bias education through the arts. 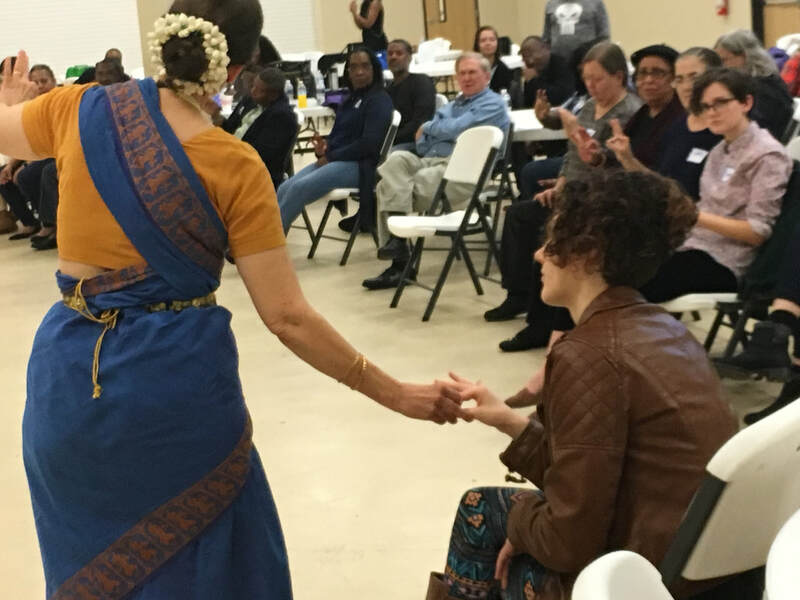 Global Education Center's Roots, Rhythm & Rhyme Restorative Justice and the Arts project was first piloted in the Spring of 2017 through awarded PIP funds from the Metro Nashville Arts Commission. The program was designed to inspire youth in the Juvenile Justice Center to find an art form that enables him or her to express frustrations, sorrows, anger, humor and joy in a positive, self-affirming manner in hopes to prevent recidivism and to foster better decision making and expressive outlets. As an extension of our already popular Roots, Rhythm & Rhyme Youth Programming, this initiative is allowing Global Education Center to reach marginalized youth caught up in the juvenile justice system, many of whom are vulnerable to entering the adult prison system. We have curated programming that is culturally based to teach historical, cultural and social information that can address common struggles of minority and indigenous communities and help youth garner strength, empathy and social-emotional health. Students explore various dance styles, including tap, contemporary, majorette as well as choreography to help students express themselves through movement, gestures and creativity. 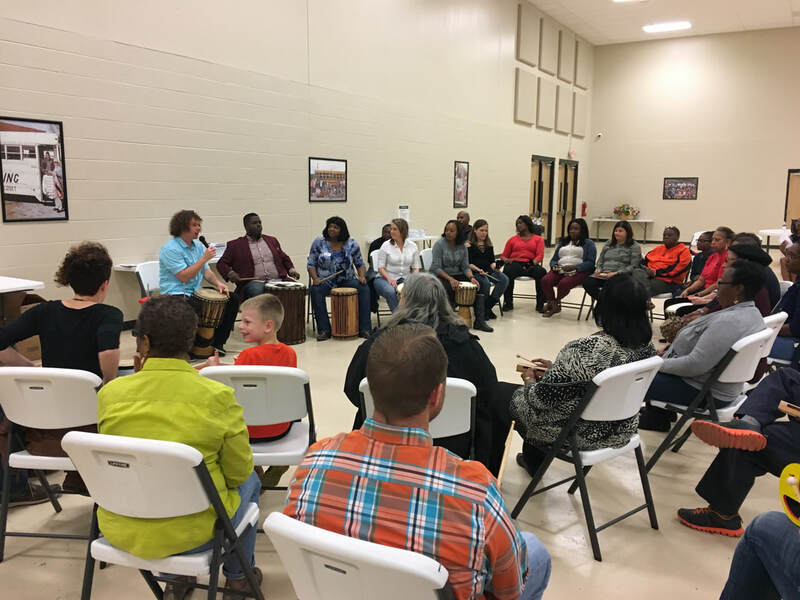 Research has shown the physiological and psychological benefits of therapeutic drumming and that learning complex drum patterns and building intricate rhythms can improve thinking and academic skills. Yoga is a powerful tool that has been proven to help shape the young and often stressed-out minds of today. Benefits can include improved test scores, self-esteem, physical performance, and a healthy body image. These benefits bear more weight for the youth that we serve and the particular struggles that they experience. Studio recording can help youth express and share their feelings while also allowing social stimulation, cognitive stimulation, stress management and sensory environment stimulation. As this program grows, we hope to expand our studio recording and create a system by which incarcerated youth can share their music with family, friends and the larger community. Capoeira is a creative and effective tool for developing balance, coordination, flexibility, and an awareness of one's own body. Its use of music, song, dance and acrobatics motivates youth to participate. 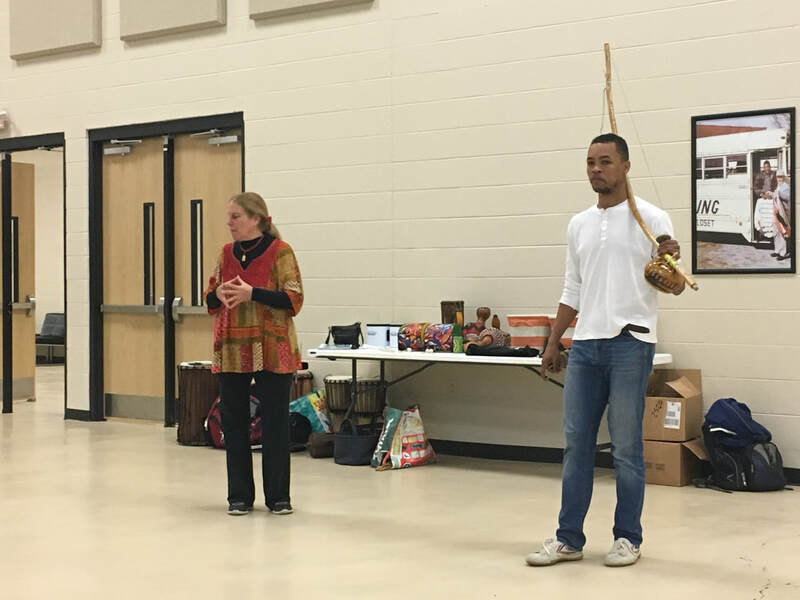 This activity also builds self esteem and helps to develop a sense of identity as a member of a larger community while learning about Capoeira's powerful force for overcoming oppression and building resilience. Zumba® is not just a fitness regime but a creative cultural outlet of dynamic dance moves. Benefits include improved coordination, family fun, increased self-confidence, building of leadership skills, and improved memory, creativity and imagination. Our goal for this project is to use the arts to reduce the rate of recidivism among affected youth as well as to bring them a bit of joy while developing coping skills. We are working with the staff of the Nashville Davidson County Juvenile Court to continually measure and respond to the needs of the youth that we serve. We hope to expand this program to reach more children and their families to help insure a better and brighter future. 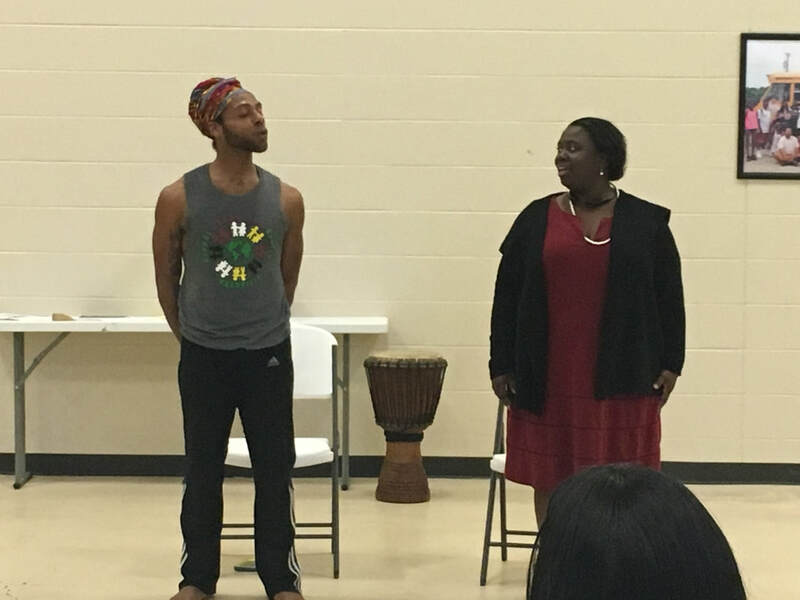 If you would like to know more about the Roots, Rhythm & Rhyme Restorative Justice and the Arts project, how you can support it or how your organization can be a part of it, please click the link below. Support for this program comes from Metro Nashville Arts Commission. Restorative Justice and the Arts is a collaboration between Metro Nashville Arts Commission, Juvenile Justice Center, Oasis Center and various arts organizations and individual artists and is funded through Mayor Megan Barry’s Public Investment Plan (PIP) initiative with additional funding support from the Community Foundation of Middle Tennessee.